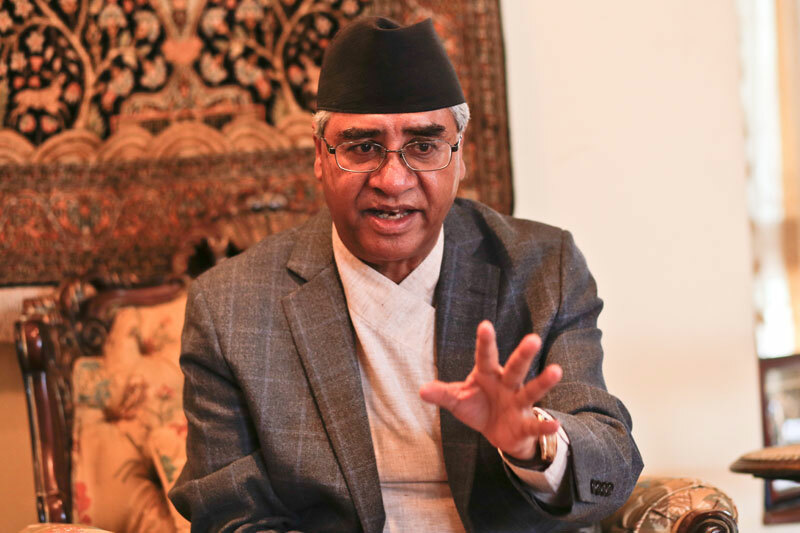 KATHMANDU, Oct 6: Prime Minister Sher Bahadur Deuba is mulling over reshuffling his cabinet after the coalition partner CPN (Maoist Center) forged an electoral alliance with the main opposition party, CPN-UML. Senior Nepali Congress (NC) leaders close to Prime Minister Deuba said the prime minister is mulling over sacking the Maoist Center ministers once he is able to secure comfortable majority votes in parliament. NC leaders have been maintaining that Maoist ministers should either resign voluntarily on moral grounds or Deuba should sack them as their party has already decided to join the leftist alliance. Amid pressure from within the party, Deuba had held one-on-one with the leaders of various parties that have been part of the ‘democratic’ alliance and even consulted legal experts to relieve the Maoist ministers of their responsibilities. At least 297 votes are required to secure majority in parliament. While the UML and Maoist Center alliance so far has 261 votes in its fold, NC-led alliance will have 302 votes if Kamal Thapa-led Rastriya Prajatantra Party and Upendra Yadav-led Federal Socialist Forum Nepal formally decided to be part of the alliance. RPP chairperson Thapa and FSFN chairperson Yadav have maintained their silence about the issue of reshuffling the government, although they have agreed to join the NC-led alliance. PM Deuba expedited talks with the senior leaders of both the parties. Finance Minister Gyanendra Bahadur Karki met with RPP Chairman Thapa on Thursday morning. “We had a brief discussion about reshuffling the government and allocation of the ministries. 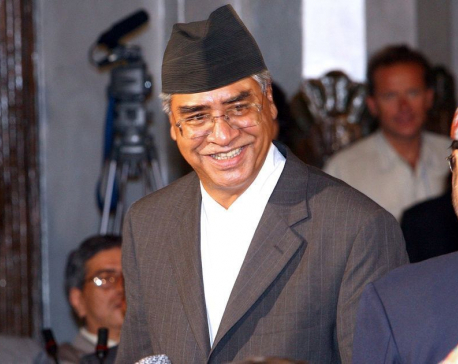 We will finalize it with the prime minister,” said a source quoting RPP Chairman Thapa. Sources said the NC-led alliance is also trying to woo other fringe parties in parliament to secure comfortable majority votes in its fold. before the third round of the local elections. Sources said internal preparations are being made to share ministries to the parties joining the alliance in the fresh cabinet reshuffle.